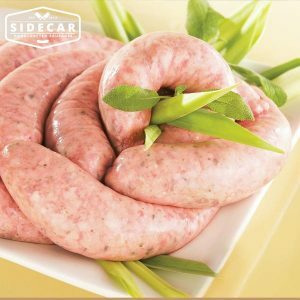 Dreaming of bangers and mash? 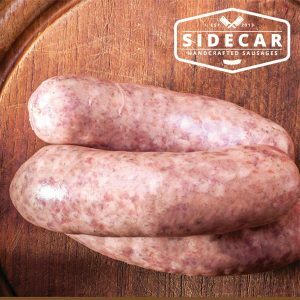 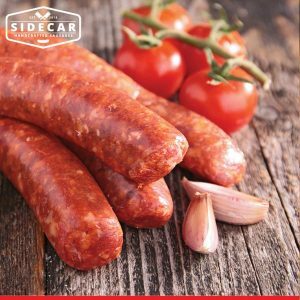 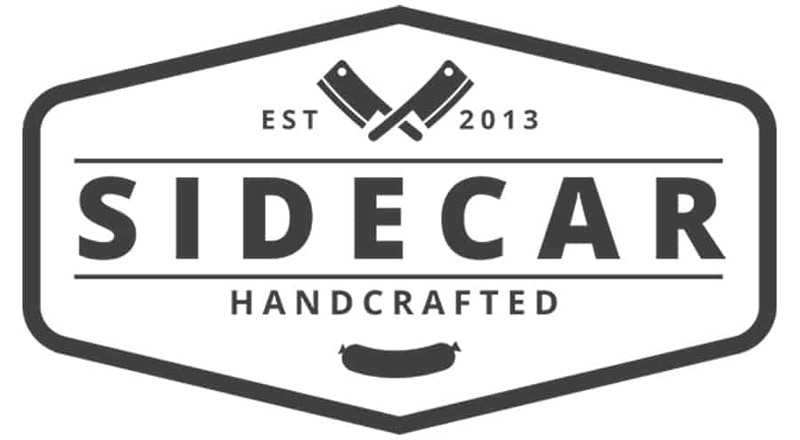 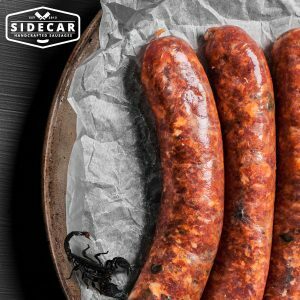 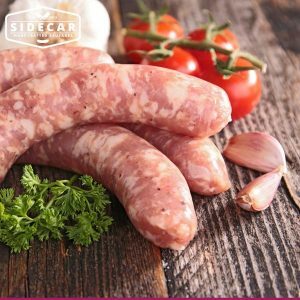 Your wish has come true – our British Cumberland Sausage is the real deal – a well-loved Sidecar favourite made according to guidelines from the Cumberland Sausage Society. 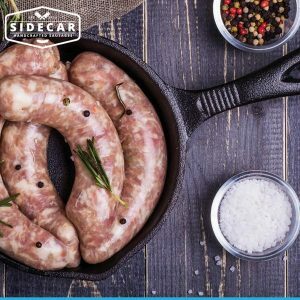 To make cooking easier for you, we hand-link them in serving size portions, rather than the traditional coil presentation. 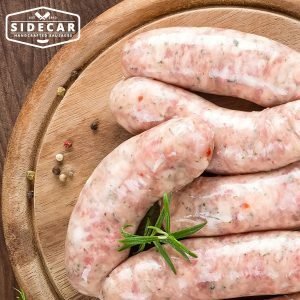 We also nudge the flavours along a little, utilising nutmeg, thyme and other traditional spices to make this one of our best sellers. 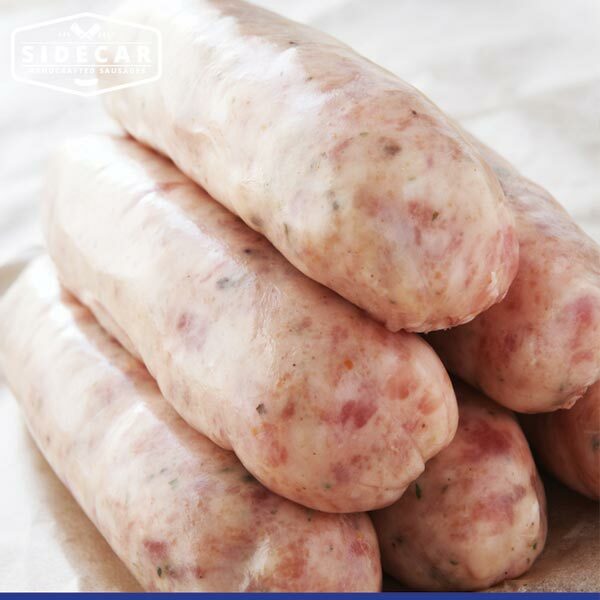 Mild, yet with just enough kick to remind you of jolly good British pub fare. 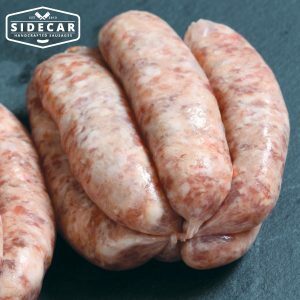 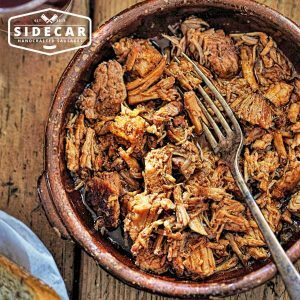 Suitable for breakfast, barbeque or (of course) enjoyed with rich gravy over mash potato! 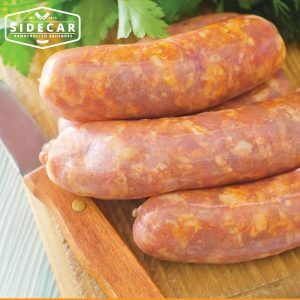 Pork, water, rice flour, salt, pepper, herbs, spices, brown sugar, pork casing.